Auckland City and Waitemata Harbour from Shoal Bay with mangroves (Avicennia marina var. australasica). 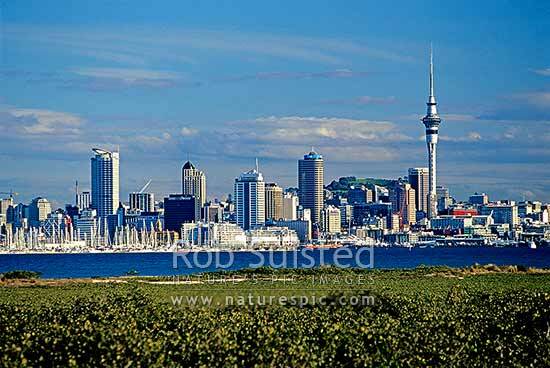 Sky Tower on left, Auckland, Auckland City District, Auckland Region, New Zealand (NZ), stock photo.